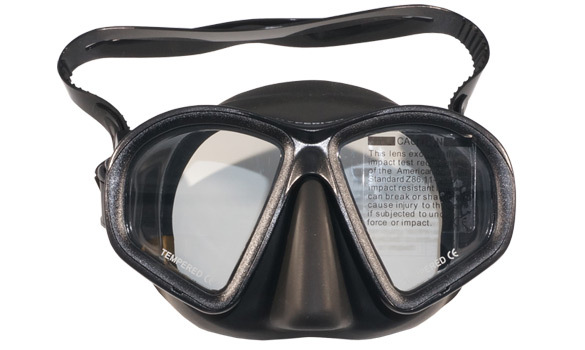 Twin Lens Dive Mask with Black Frame & Black Skirt. High quality Silicone Skirt with Tempered Glass Lenses. 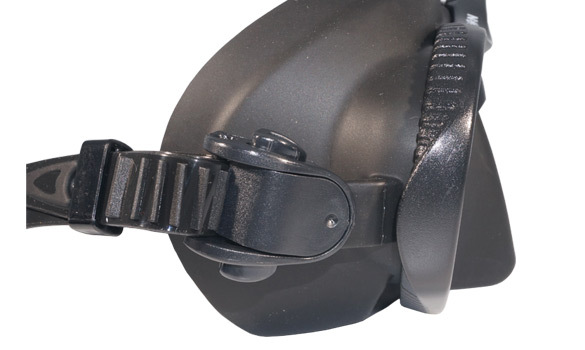 Also available with GoPro Mount on the mask frame.